Did you know that injuries can occur while golfing? Even though golf is a low-impact sport, common golf injuries include elbow tendonitis also known as golfers elbow, back strain, ankle or knee pain, rotator cuff tear or a wrist injury. Playing golf involves a lot of repetitive motion of swinging, bent back and posture, and tight grip for hours and often leads to overuse injuries or bodily strain. Wearing a brace while playing golf can help prevent injuries and provide additional support to help alleviate pain from a nagging injury. 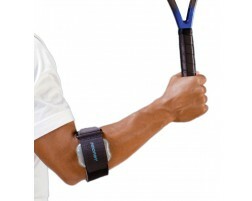 The best type of golf brace is one that is low-profile, light, and will not impede your swing. Our braces for golfers are worn by players at all levels from professional golfers to recreational players looking for a weekend tee time. Poor form and repetitive stress injury are how golfers get injured. The most common golf injury is golfers elbow (medial epicondylitis) which is inflammation of the tendon on the inside of the elbow. Many times, golfers have difficulty resting when necessary and want to continue playing even when dealing with golfers elbow. In this case, we recommend wearing a golfers elbow band that will help apply pressure and relieve the stress on the tendon. Lower back pain is also a common complaint after a long day of golf due to the constant pressure put on the back muscles as you bend down to swing. Back support for golfers is becoming more common as they set out for their 18-holes. A back brace can help add stability and prevent back strains throughout the game. Due to poor form, many golfers injure their wrist during golf. 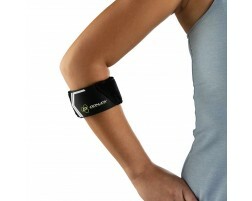 A wrist brace will help lower your risk of tendonitis, wrist strain or sprain. Knee pain can also occur if your surrounding muscles are weak and unable to support you as you pivot and rotate as you swing. Your ACL and meniscus can be sprained or strained based on bad form or muscle imbalance. A knee brace can help lower your chance of injury. Lastly, though not as common are ankle injuries during golf. Typically when an ankle injury occurs, it is a sprain caused by a misstep on the green. If you have ankle instability, wearing an ankle sleeve can help you. Always remember to warm-up and stretch before starting your tee time and cool down and use cold therapy for recovery.